At a press conference held on Wednesday, Congress leaders and Senior Advocates Kapil Sibal, Salman Khurshid and Vivek Tankha demanded an independent probe into the death of special CBI Judge B.H. Loya, raising suspicions regarding the death of two of Judge Loya's associates as well. 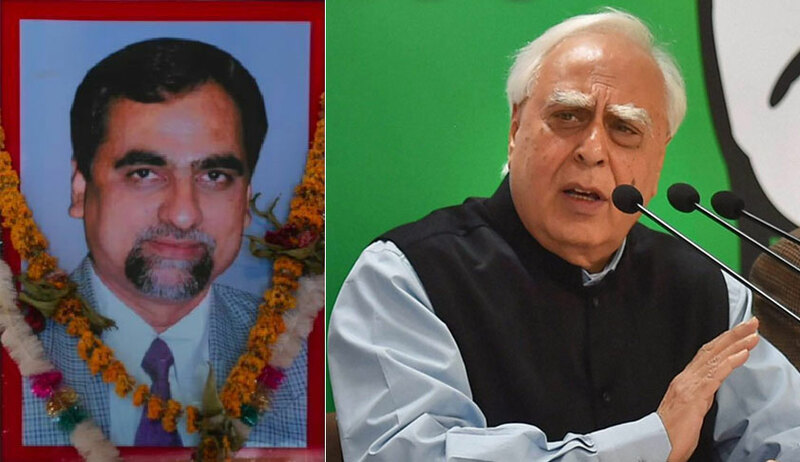 Asserting that the "truth is to be investigated… Loya talked of pressure and right now democracy is under threat", Mr. Sibal explained that his interactions with a whistle-blower in the case—lawyer Satish Uike—revealed that Judge Loya had been handed over a "draft order" with a direction to approve it before 31 October, 2014. Mr. Uike had been introduced to Judge Loya by Advocate Shrikant Khandalkar and retired District Judge Prakash Thombre. All three of them were then informed about and given the copies of the draft order by Judge Loya, who had sought their help in dealing with the "pressure" that he was facing to exonerate the accused in the Sohrabuddin murder case. While Mr. Thombre and Mr. Uike travelled to Delhi to seek help from a few Senior Advocates, they had returned back disheartened. Soon after, Judge Loya officially died of a cardiac arrest on 1 December, 2014 in Nagpur, where he had gone to attend a wedding. Subsequently, both Mr. Khandalkar and Mr. Thombre died mysterious deaths, Mr. Sibal alleged, after confiding in Mr. Uike regarding the threats that they were receiving from Nagpur. He alleged that while Mr. Khandalkar was "pushed" from the 8th floor of a District Court building in November, 2015, Mr. Thombre passed away during a train journey in May, 2016. Mr. Uike was also threatened, he said, when around 5,000 kilograms of iron fell on the roof of his office barely moments after he had exited. The Congress leaders also narrated the incidents that led to Judge Loya's death, especially highlighting the fact that his security was withdrawn from 20 November, 2014 to 2 December, 2014. Noting that the reason given for this was that his security officer was unwell, Mr. Sibal questioned the absence of alternative officers for providing security to Judge Loya. Mr. Sibal also put on record the register of the VIP guest house where Judge Loya reportedly stayed during his visit in Nagpur. The register, he said, neither contained Judge Loya's name nor Judge Shriram Modak's name, who he allegedly stayed with. Mr. Uike, who was present at the conference, referred to Judge Loya's post-mortem report to claim that it had been tampered with as the papers showed that the doctor conducted two post-mortems at the same time. Judge Loya's 'viscera forwarding form' was also repeatedly referred to, to highlight such discrepancies. Why didn't Bombay High Court lodge an FIR when Judge Loya's sister alleged that Justice Mohit Shah offered him a bribe of Rs. 100 crore?... Why didn't the judiciary take up the matter? Who was being saved and why?" With such suspicions, he appealed for an investigation by an independent SIT, which should not contain any CBI or NIA officer. In the absence of such investigation, he said, the party would "go to every village to tell them about the injustice being meted out". The democracy, he said, is in "peril", referring to the press conference held by the four sitting Supreme Court Judges. The conference comes at a time when the Supreme Court is hearing two petitions demanding an independent probe into Judge Loya's death. The allegations first appeared in two reports by The Caravan Magazine, which cited interviews with Judge Loya’s relatives– his sister Anuradha Biyani, niece Nupur Balaprasad Biyani and father Harkishan. According to the magazine, Judge Loya’s wife Sharmila and son Anuj declined to speak since they feared for their lives.